In the lap of India, many religions have been nurtured and flourished throughout the history. Therefore, today the country is undoubtedly the gateway for spiritualism for people of all faith including that of Jewish. In our 8N/9D Jewish India Tour, we shall take you on a journey to trace the Jewish roots in the country. The tour will be the opportunity to seek the blessings and learn about more about this age old world religion. Our tour will begin with bowing our head at the Knesset Eliyahoo Synagogue, Tifereth Synagogue and Magen David Synagogue in Mumbai. It will also be the opportunity to explore the major attraction of Mumbai as well. In the neighbouring city of Pune, we shall visit the Ohel David Synagogue and take a short city tour before leaving for Ahmedabad. 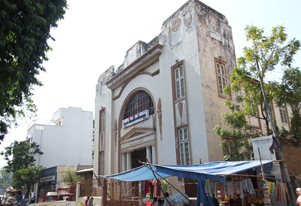 We will visit the beautiful Magen Abraham Synagogue, which is the only Jewish place of worship in Ahmedabad. Our journey will conclude in the capital, New Delhi, where along with visiting udah Hyam Hall, which is a centre for Jewish and inter faith studies we shall also seize opportunity to explore the Mughal architecture, for which the city is renown. Upon arrival in Mumbai, meet our representative who will assist you to the hotel. Today, we will visit Knesset Eliyahoo Synagogue, which is also known as Fort Jewish Synagogue and was established in 1884 by Mr. Jacob Sasson in memory of his father. After the breakfast we will visit Getaway of India, Prince of Wales Museum, University of Bombay (Drive past), High Court of Bombay (Drive past), Crawford Market (if time permits),Hanging Gardens. We shall also drive through the residential area of Mumbai’s rich and famous on Malabar Hill. We will pay to renowned ‘Dhobi Ghat’ and the Gandhi Memorial Museum. In the afternoon, we shall visit the Tifereth Synagogue and attend the evening service at Magen David Synagogue (starts at 18.30 hrs). Overnight stay at the hotel. After the breakfast, we will board train to Pune. On arrival at Pune, you will be met by our representative who will assist you to the hotel. In the afternoon, we will visit Ohel David Synagogue. Overnight stay in the hotel. 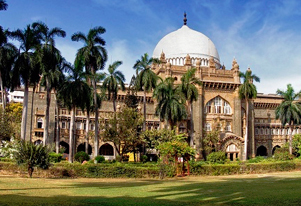 Today, we will go for half day city tour of Pune. In the evening, we shall catch the train for Ahmedabad. Overnight train journey. Upon arrival at Ahmedabad, meet our representative who help you with checking into the hotel. In the afternoon, we shall visit Magen Abraham Synagogue . Overnight stay at the hotel. After the breakfast at the hotel, we will board a flight to Delhi. On arrival at Delhi, our representative will assist you to the hotel. Overnight stay at the hotel. In the morning after the breakfast, we will go for full day sightseeing tour in Delhi. 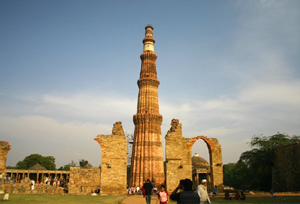 In the morning post breakfast, we will go for a full day sightseeing tour in Delhi. We will visit New Delhi: Laxmi Narayan Temple, India Gate, Parliament House, Qutub Minar, Purana Qila, Humayun's Tomb and Jantar Mantar. After the lunch, we will head out to Old Delhi to witness Jama Masjid, Red Fort, Gandhi Memorial and Rajghat. You also can enjoy the light & sound show at Red Fort in the evening. Overnight stay at the hotel. Post breakfast at the hotel, we will drop you to the airport for onward journey.